🥇 Table Saw or Circular Saw: What to Pick? 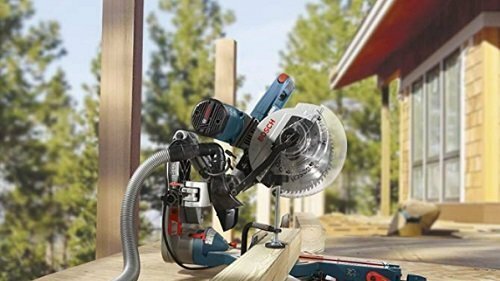 Table Saw or Circular Saw: What to Pick? When it comes to woodworking, picking the right tool for the job can be a bit confusing. Looking at the numerous types of saws and their cutting capacities, it can be confusing deciding which of them can actually be the “right” tool for your collection. One of the greatest dilemmas for aspiring woodworkers is picking between a table saw, and a circular saw. Comparing the benefits of the large supports on a table saw to the compactness of a circular saw can be a head-scratcher. In this article, we’re going to take a look at the benefits and drawbacks of both of these types of saws and give you our opinion of which would be the better saw to start off with. A table saw is a large variety of circular saws in which the blade protrudes upward from the work table. The blade is driven by an electric motor and belts or gears to give it the cutting power and speed needed to rip through long, thick boards. You slice and dice your work by pushing wooden boards through the blade with a push stick while lined it is up against the support fence. The fence can be shifted to either the left or right side of the blade depending on which part of the board you wish to cut. A number of different jigs can be used to assist in making angled cuts while spinning a wheel or lever can tilt the blade to make beveled cuts. Cutting on both planes – angled and beveled – is possible with the right jig, a tilted blade, and a steady hand. The greatest benefit that a table saw offers is the ability to make repeated cuts on several pieces. You simply need to adjust the cutting depth of the blade, the tilt of the blade, and the distance from the fence to the blade. After everything is locked in place, you can cut boards to an identical size in no time at all. Table saw models range from large, stationary units to light, portable ones. 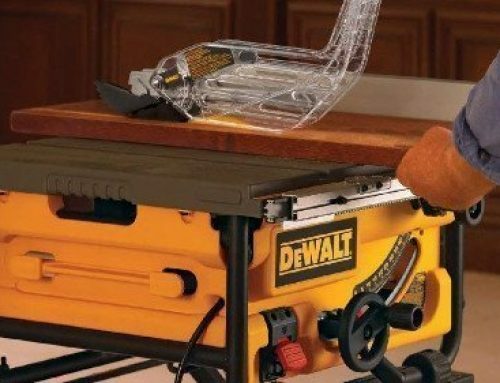 Although there are several types of table saws out there, for first-time buyers and aspiring woodworkers, the two that you should consider are cabinet and benchtop table saws. A cabinet table saw is a heavy-duty machine that’s used in professional woodshops. It comes with a beefy motor, a huge work table, and a large blade for cutting through large wooden boards. This is the type you need if you plan on establishing a home business. 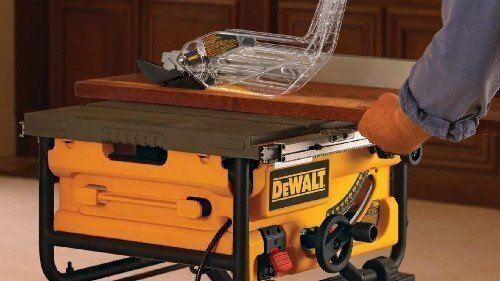 If you’re more of a hobbyist, then take a look at benchtop table saws. These are the lightest, most compact type of table saw available. As the name suggests, this tool is mounted onto a workbench or table to give it stability and height. 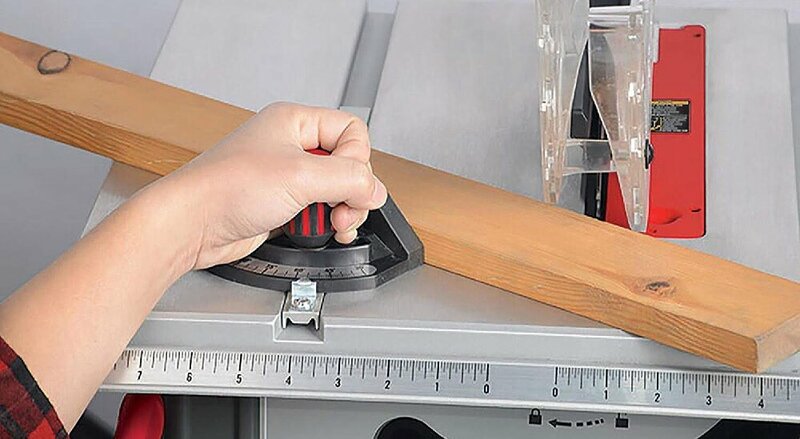 It works just like any other table saw, but the supports to the left and right are small, limiting how large a board you can cut with this tool. Many people would argue that the table saw is the heart and soul of any woodshop. We feel that it can be, but this doesn’t mean it doesn’t have disadvantages. 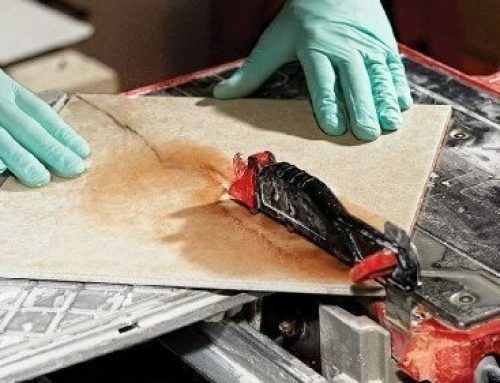 For starters, even a compact benchtop table saw can be pretty heavy, and transporting it from place to place can be troublesome if you don’t have the right cushioning for both your truck and the tool. Second, the only way to make use of this tool is by lifting your boards onto the table saw’s work table. If you need to cut huge boards down to size, you can skip the gym since lifting and positioning the board onto your table saw will be enough of a workout. The term “circular saw” can refer to any saw that uses a circular blade, such as a table saw. However, the tool that’s generally called a circular saw is a portable, handheld saw that’s driven by an electric motor. The size of the blade ranges from 4-1/2 inches to 7-1/2 inches, but there are several models with huge 10-inch blades for heavy-duty cutting. This saw solves the problem of carrying huge lumber onto a work surface. Instead of lifting and building muscle mass, you simply need to carry the tool to where it’s needed and do your cutting there. Essentially, there’s nothing that a table saw can do that a circular saw can’t. Miter cuts, beveled cuts, cuts on both planes, rip cuts, crosscuts – a circular saw can do it all. 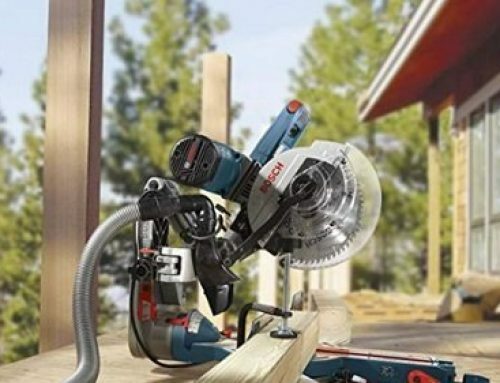 Circular saws can be gas-powered, corded-electric, or cordless. 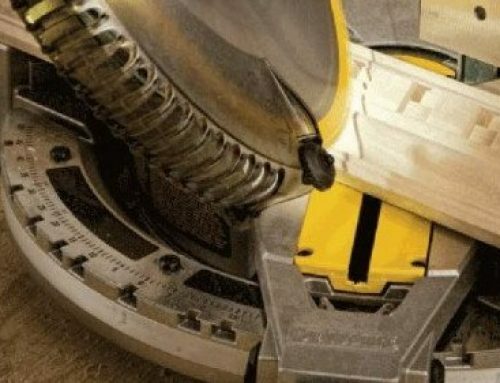 Gas-powered circular saws are the most portable type since you don’t need to deal with power cords or recharging batteries. They’re also the most powerful type of circular saw. But just like any gas-powered tool, it’s not safe to use indoors even with ventilation. Cordless or battery-powered circular saws, like a gas-powered saw, won’t tie you down with long power cords. However, they’re the weakest of the three and typically come with smaller blades and shallower cutting capacities. Corded-electric circular saws are in the middle-ground between cordless and gas models in terms of power. 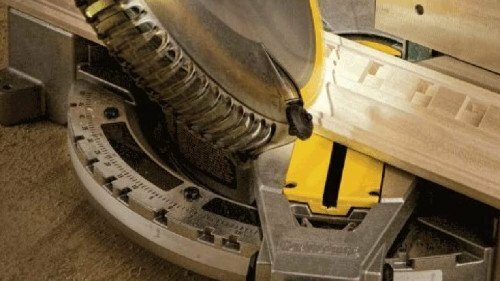 They generally come with 7-1/2-inch blades for slicing through 2-inch thick boards in a single pass. Their power cords will tie you down, but you can solve the problem of limited movability by utilizing a long extension cord. Even though a circular saw can do everything that a table saw can, it does have some drawbacks. First of all, using a circular saw requires a lot of extra measuring and double-checking in order to get the right cuts every time, unlike a table saw which just needs to be adjusted once. There’s also no fence to help ensure that you make straight cuts using a circular saw, but you can purchase an aluminum rail which guides the blade in a straight trajectory across the surface of your board. Something else that you should be aware of is that a circular saw will leave a messy finish on the newly cut edge. 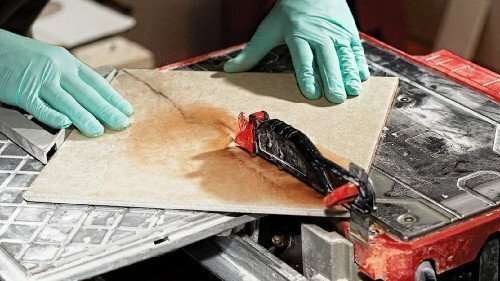 The only way to make a board usable after cutting it with this tool is if you have a sheet of sandpaper or a power sander on hand. Looking at these tools and what they can do, their range of use is just about equal to each other. So if you were to ask us whether your first saw should be a table saw or a circular saw, we’d have to say it depends. We know, this non-committal answer isn’t exactly what you’re looking for, but the right tool really depends on what you’re doing. 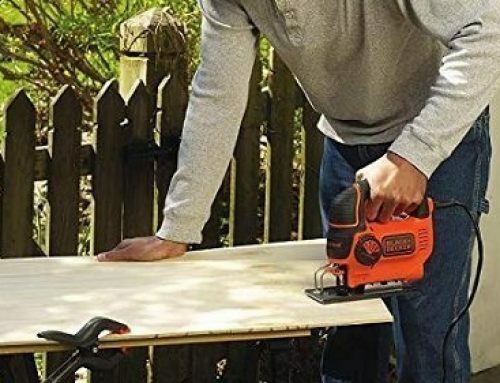 If you need a heavy-duty saw for dimensioning numerous boards and you have the space for it, then a table saw can be the most time-efficient tool to do it. 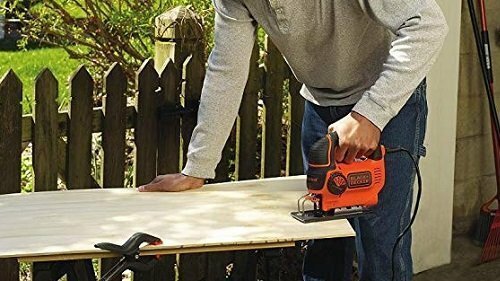 If you need to simply rip and/or straight cut through boards, then a circular saw would be the most cost-effective tool to have. 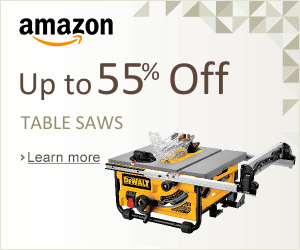 A benchtop table saw, and a circular saw would be an excellent combo to have. One will give you the ability to produce identical, precise cuts across several boards while the other will let you reduce the size of your boards where they lay.